Judgement day came, and Pretoria came out tops! The Copperlake sponsored annual “Beer Wars” tasting day was held on Sunday 17 September at Copperlake. Pretoria took the top honours, followed by Copperlake. 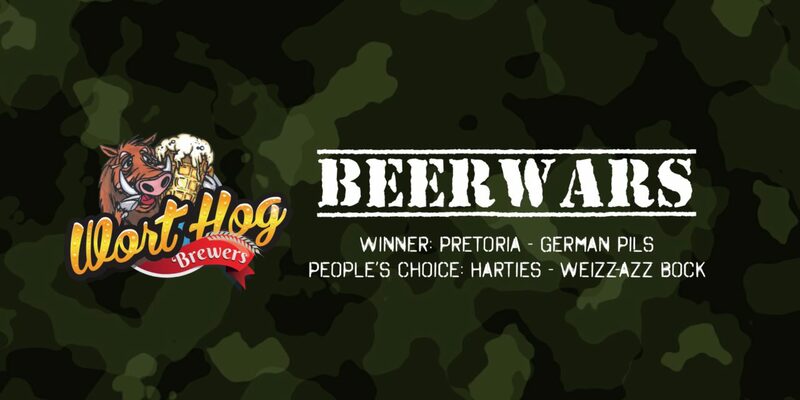 The People’s choice award went to Hartbeespoort for their Weizz-Azz Bock. Well done to everyone who participated! Thanks to the judges (Danie, Lee & Brad) for taking time to evaluate the beers so carefully, and to all the members and guests that enjoyed a few beers through the day. A massive thanks to Brendan, Adam and David from the Copperlake team for organising and sponsoring. Cheers!